Armin van Buuren » Music lossless (flac, ape, wav). Music archive LOSSLESS. Music lossless download. With ‘A State Of Trance, Ibiza 2017’, those that breathe Trance music get exactly what they’re looking for. Coming in two parts (‘On The Beach’ and ‘In the Club’) and with a surreal amount of exclusive records, this two-disc compilation packs forty belting productions from Trance’s finest, including new tracks from Alpha 9 (‘Blossom’), Armin van Buuren vs Sunnery James & Ryan Marciano (‘You Are’), BT (‘LSTM’), Estiva (‘Little Planet’ and ‘Raket’), Gaia (‘Crossfire’), KhoMha (‘Laberinto’), Ørjan Nilsen (‘Hi There Radio’ and ‘Swoosh’), Super8 & Tab (‘Quest’) and more. When it comes to A State Of Trance, there’s no desire stronger. We need it in order to make the most of life, to fill the gap that would otherwise remain unfilled. To make us want to be in that moment, to have the very essence of our existence looking for that emotion. It’s what we live for. With ‘A State Of Trance 2017’, the titans of Trance have gathered ´round to show us all that we envision. It is a happy place where we can celebrate music and life, chock-full with exclusive records and emotion-driven cuts from flag-bearers such as Alexander Popov, Armin van Buuren, MaRLo, Omnia, Orjan Nilsen, Protoculture, Super8 & Tab. The compilation has captured the essence of all we hold so dear, touching us in ways that makes us shine even brighter. If you are part of the movement, you will share its beliefs and swear by its ideals. Yet, few words are needed to explain the feeling. One phrase says it all. I Live For That Energy. We’ve come a long way. The roads were winding, the paths taken may have been a bit bumpy at times and there may have been one or two necessarily changes in direction to stay true to who we are and what we so strongly believe in. But in the end, we managed to create something astounding every single year, allowing A State Of Trance to become bigger, better and exponentially more badass. Компиляции "A State of Trance at Ushuaïa Ibiza 2015", в которой Армин собрал самые яркие и сочные треки, отражающие его жизнь на острове вечеринок этим летом! Находясь на острове Ibiza впервые, вас охватит необычное чувство покалывания, предвидение того, как-будто что-то волшебное вот-вот должно произойти. В такие минуты вы не можете противостоять своей улыбке от ушей, и просто не можете не считать себя одним из самых счастливых ныне живущих людей. Вы делаете глубокий вдох, шаг вперёд и находите себя на вечеринке среди тысяч восторженных людей, готовых прыгать, восклицать и петь под захватывающие звуки мощного баса, на волне эмоций. Вы наклоняете голову, открываете глаза и видите всё там, в центре бассейна - обычный человек, который делает свою работу лучше всего: Armin van Buuren. Использование слова “незабываемый” никогда не было более подходящим. Увидеть выступление Армина на всемирно известном пляжном отеле и клубе Ushuaïa – это мечта, ставшая реальностью для многих поклонников по всему миру, в результате оставляющая вечные воспоминания. Что только не сделаешь, чтобы вновь пережить те минуты. Вот откуда пришла эта двухмиксовая компиляция. Она содержит в себе все основные моменты летней резиденции Армина в Ushuaïa Ibiza в 2015: от совершенно новых работ, таких, как “W&W - The One”, “Protoculture - Southbound” и “Heatbeat - It’s Killing Me” до работ, уже прошедших какое-то испытание временем, таких, как “Armin van Buuren & Mark Sixma - Panta Rhei” и “Beat Service - Café Del Mar”. Собрав некоторые из лучших работ от первоклассных артистов, таких, как Andrew Rayel, Armin van Buuren, Dan Stone, Heatbeat, Protoculture, W&W и многих других, вы просто не можете отрицать всю силу комбинации “Armin – Ibiza”, как бы вы того ни хотели. Это новаторское мероприятие, касающееся Ushuaïa уже второй год подряд. Под управлением транс-титана и пионера жанра Армина ван Бюрена, A State Of Trance 2016 показывает, насколько многого он достиг и насколько необычным получилось его путешествие. Никакой другой жанр в мире не остался устойчиво возлюбленным его преданными поклонниками, никакая другая серия компиляций не засела так глубоко в сердцах поклонников, как A State Of Trance. Как многие и ожидали, знаменосец транса Армин ван Бюрен представляет в данной компиляции символ безудержной любви и страсти к музыке. Собирая в себе не менее 39-ти музыкальных бриллиантов и целый набор впечатляющих эксклюзивов, A State Of Trance 2016 выделяет такие волшебные творения, как 'Omnia – Alien', 'Jerome Isma-Ae & Alastor – Floyd', 'Estiva – Power Core', и ремикс Manse на 'Armin van Buuren feat. Bullysongs – Freefall', среди которых и взрывающие танцпол 'Super8 & Tab – Mega', 'David Gravell – Stay Awake', 'Gaia – Inyathi' и 'Bryan Kearney & Christina Novelli – By My Side'. A State Of Trance 2016 приносит миру то, что мало кто может предложить. Прочного наследия, жанроопределяющего опыта и более чем умопомрачительных мелодий вам хватит на всю жизнь. 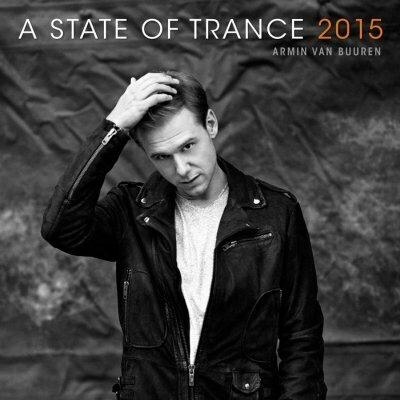 A State of Trance 2015 is the twelfth compilation album in the A State of Trance compilation series mixed and compiled by Dutch DJ Armin van Buuren. It was released on March 27, 2015 by Armada Music. 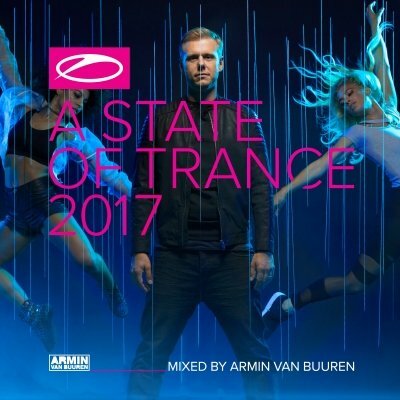 A State of Trance 2014 is the eleventh compilation album in the A State of Trance compilation series mixed and compiled by Dutch DJ Armin van Buuren. It was released on March 28, 2014 by Armada Music. 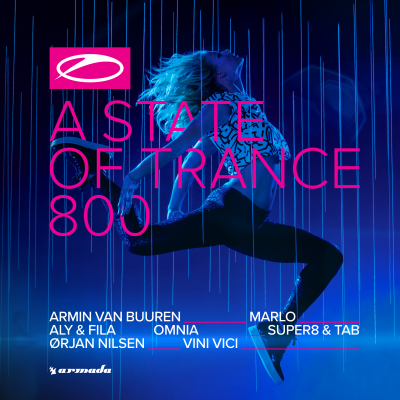 A State of Trance 2013 is the tenth compilation album in the A State of Trance compilation series mixed and compiled by Dutch DJ Armin van Buuren. It was released on 14 February 2013 for the Armada Music. 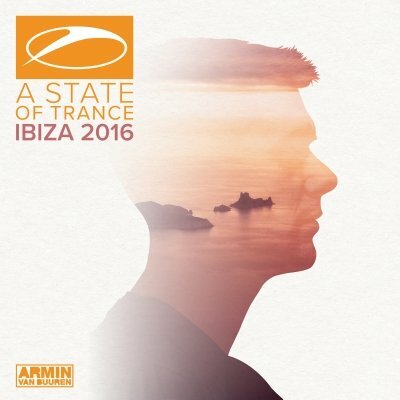 The lead track of the compilation, "Nehalennia", by Armin van Buuren versus Arty, was released as a single on 11 February 2013. The second single to be released was "D# Fat", another track by Armin van Buuren while collaborating with W&W, which was released on 25 February 2013. For the third year in a row, A State Of Trance shakes up the party island of Ibiza with a sound both fresh and timeless. 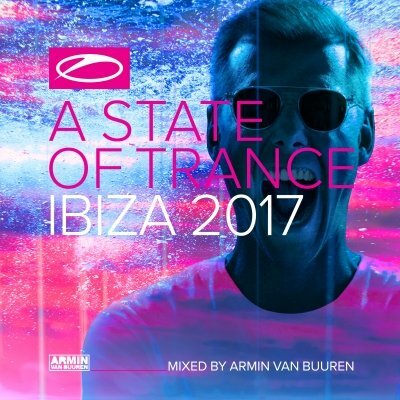 Cooked up by Armin van Buuren and seasoned with his own musical flavor, ‘A State Of Trance, Ibiza 2016′ provides its fans with 37 breathtaking records in two parts, each capable of uniting the world in a way only music could. With exclusive tracks and current floor fillers from the likes of Andrew Rayel, Arty, Ben Nicky, Cosmic Gate, ilan Bluestone, Jason Ross, KhoMha, Omnia, Ørjan Nilsen, MaRLo, Simon Patterson, Super8 & Tab, and never-heard-before remixes of several acclaimed Armin van Buuren originals, Ibiza once again gets its own piece of Trance history. Will you be a part of that? 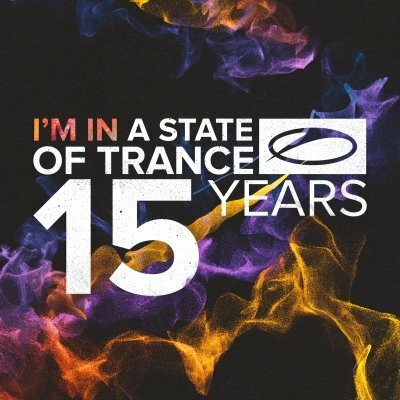 On ’A State Of Trance - 15 Years’, only the very best records can be found. Every year, you – the fans – cast your vote on the tunes you loved the most, on your Future Favorites. With pride, we can tell you that the top three songs of every year have made it onto this amazing compilation. Spread over two different parts, this mind-blowing selection holds classics such as Tiësto’s ‘Adagio For Strings’, Dash Berlin’s ‘Till The Sky Falls Down’, Above & Beyond’s ‘Can’t Sleep’, and more, soaring side by side with more recent wonders such as Ferry Corsten presents Gouryella – ‘Anahera’, Gaia – ‘Empire Of Hearts’, Gareth Emery feat. Christina Novelli – ‘Concrete Angel’, and RAM & Susana’s tribute to Amelia: ‘RAMelia’. 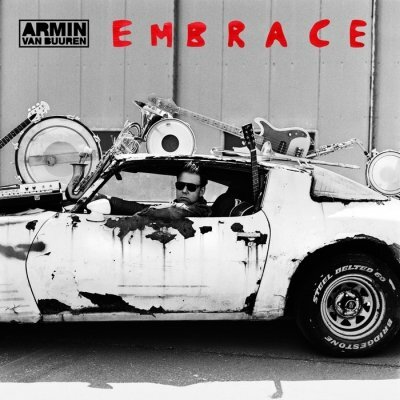 Embrace is the sixth studio album by Dutch trance producer and DJ Armin van Buuren. It was released on October 29, 2015 through Armada Music. Explaining the name of the album, Van Buuren said: "The idea was to 'EMBRACE' several different instruments and sounds, and incorporate them into my sound." An album that’ll live on in the legacy of one of electronic dance music’s biggest icons, Armin van Buuren. The fifth and most diverse artist album, loved for many reasons. A musical piece that surprises and inspires, and will continue to do so through its official remix and deluxe album: ‘The More Intense edition’. Completing the story of ‘Intense’ with two brand new tracks, no less than 16 remixes by the likes of Protoculture, Dannic, Toby Hedges, Orjan Nilsen, Aly & Fila and more! Here it is, intensifying the journey that ‘Intense’ has started.